Michelle joined Reilly & Partners after her call to the bar in 2018. She obtained her Bachelor of Laws at the University of Leicester in the United Kingdom. 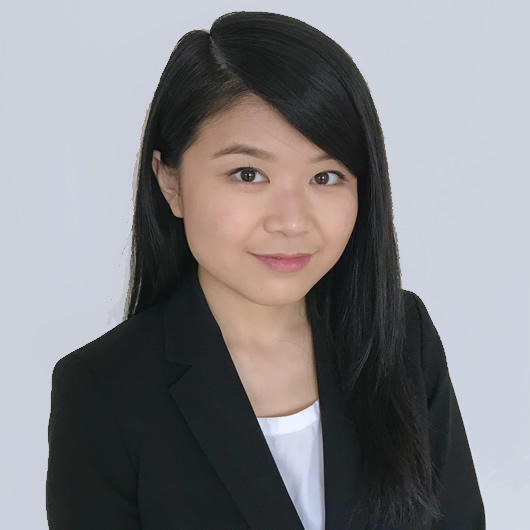 She enjoyed researching case law and developing fact-based arguments both as a moot competitor and later as a moot judge for her university’s Law Society. Michelle was a founding member of University of Leicester’s Information Technology Law Society and the co-founder of the society’s law journal, LegalBrew. Throughout law school, she volunteered at the Leicester City of Sanctuary as part of the New Evidence Search Team, helping asylum seekers find credible evidence to support their refugee claims. She also gained experience as a summer student at a criminal defence law firm. Michelle discovered her passion for family law while working and articling at a retail-based law firm in Toronto. She understands that family matters can be emotionally complex and that legal services must be orientated around the client’s circumstances. Her diverse background increased her respect for building strong relationships with clients who come from all walks of life. When not at the office, Michelle enjoys dancing and going on hiking trips with friends.